It’s hard for me to believe that we are at the 200th Singlemalting episode. It should by rights be a lot more than that but alas the Scotch Whisky Advent Calendar is a demanding wee beastie of an adventure that requires a lot of love. The Lost Distillery Company has been featured a few times in past editions because I love what these guys are doing and am a bit of a history buff, especially when it comes to Scotch Whisky. Auchnagie was opened in 1812 by James Duff and operated for nearly 100 years. 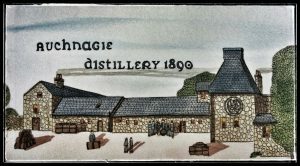 I have included the link to a very fascinating and detailed account of the History of Auchnagie on the Lost Distillery Companies Website for you to geek out on. The amount of research and detail that goes into each and every “recreation” is astounding. Spending even one evening with owners Brian and Scott and delving into their passion for Scotch Whisky history (not to mention an abundance of delicious drams) and you are hooked. The number of casks of Single Malt that are vatted together to recreate the styles of these long lost distilleries is very small and so the attention to detail is extremely high. Lost Distillery Company has three levels in their range of distillery recreations. 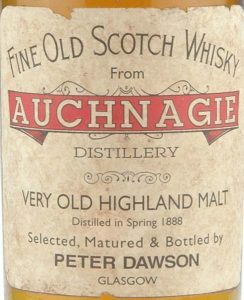 Classic is the most affordable, Archivist takes it up a notch in aging and Vintage utilizes their oldest whiskies. As I go through the process of creating this Scotch Whisky journey I specifically make sure that each edition has a wide range of ages, pricepoints, cask types, distilleries, regions, styles and flavor profiles. Lost Distillery company also allows us to delve a little into the History of the Scotch Whisky industry which is an added bonus. Lost Distillery Company Auchnagie Classic Blended Malt Scotch Whisky – 43% Alcohol with no chill filtration or added colour. Colour: Barn floor straw gold. Nose: Candy Bananas, crusty Scottish scones and a touch of medicine cabinet. Palate: I was surprised at how much the medicinal edge came through onto the palate including a little wisp of smoky incense. The sweet candy banana nose gives way to a light butter sauce with a tinge of apricot paste swirled in. Finish: Light and yet surprisingly lingering considering the lower ABV. The apricot tingle is what finishes along with my grandmother’s medicine cabinet. I remember opening it as a kid and seeing all sorts of tincture bottles, swabs and bandaids. She certainly had plenty of reason to delve into the contents to attend to the many scrapes and cuts my brother and I got while adventuring around her home. 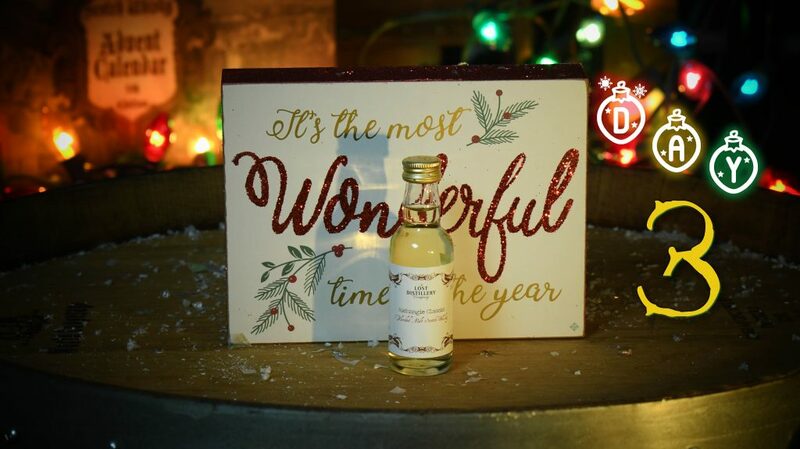 Don’t forget to head over to the Whisky Vault & Scotch Test Dummies for their daily dose of Scotch Whisky Advent Calendar shenanigans and crash testing. On Day 3 of the 4th edition we had a young and delicious MacDuff 7 Year Old from one of my favorite Independent bottlers A.D. Rattray. Tomorrow we leave this little Blended Malt excursion and head to Speyside for the first of many Single Cask whiskies bottled by Secret Spirits for this 5th edition. Looking forward to tipping a glass with you then.